I have an assignment for you to help while away the hours you are spending snowbound. As you venture out, and around town today, and over the next couple of days, take notice of the people that are clearing the sidewalks in front of their homes, and businesses. Now, you all know how I feel about this. If the door to a business opened onto a sidewalk, then by all means keep it clear. The same holds true for a home, but if your front door does not open onto to the sidewalk then why should you be required to clear a public way? Why should you be obligated to clear a public way that goes past your property? Is shoveling the road next? Why open yourself up to lawsuits? Your homeowners insurance will cover you for slips, and falls on your property, but for a fall on a sidewalk outside of your property, and on a sidewalk cleared by you? I don't think so. 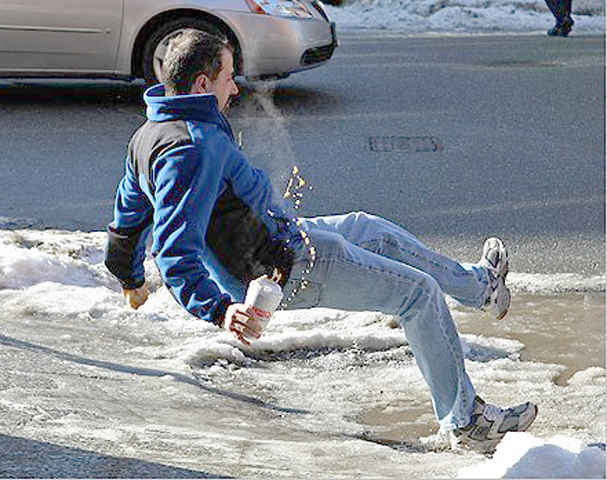 Then, if someone does slip and fall on the sidewalk you cleared at the behest of the town, who is liable? The sidewalks are the towns, as are the roadways. How are you qualified to clear the sidewalk correctly? 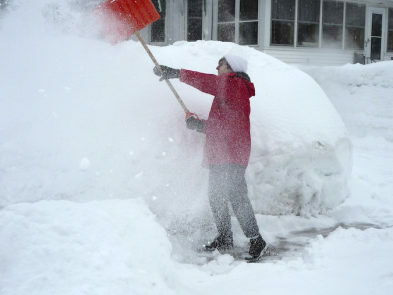 Did the town offer snow clearing classes, and include you in their liability insurance? Now, as you are out over the next couple of days, take note of the Highway Department crews that are using their equipment to clear the sidewalks. They'll clear the sidewalk on Route 131, and along Route 20. On Route 20 they will actually clear the sidewalk, and then stop, go onto the street in front of houses, and businesses that have already cleared the sidewalk, and resume clearing on the other side. I imagine they will do this on Route 131 as well, although I haven't witnessed it. Then, after another day, or so, watch what happens next. The Highway Department will come back, and remove the berms of snow between the cleared side, or uncleared sidewalk, and the street. This will actually clear the sidewalk completely. Confused? You sure as heck aren't the only one in town confused, but it wouldn't be our little town without some confusion, contradiction, and silliness. It's almost a sport here in Sturbridge. I don't have a sidewalk in front of my house, but the town must think I do since they've come up onto my lawn twice this year, and have taken out my mailbox in hopes of finding one. The second time they nailed the mailbox they gave me to replace my own they had already destroyed in a previous storm. I've been here for eight years, and I've never had a mailbox hit by a plow before. Maybe, it was a message. If you do happen to catch some of the snow removal silliness here in town, send along a pic to aroundsturbridge@gmail.com, and I'll include it in any follow up posts this winter. In the meantime, get out there, and clear your sidewalk, or they may order a hit on your mailbox.